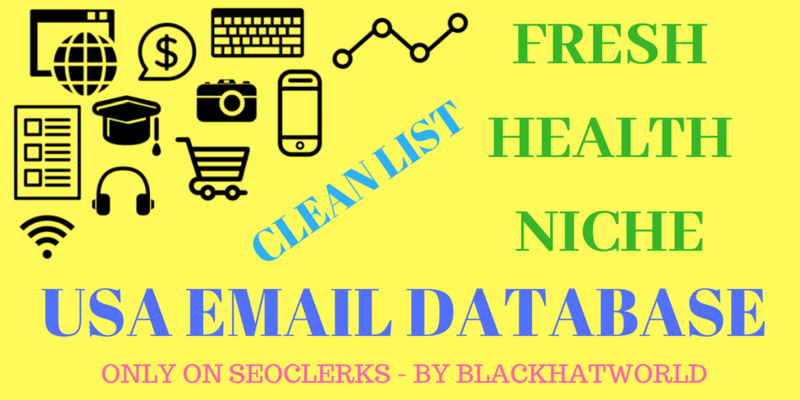 Why do You need to clean and verify email lists? Validating email lists benefits the email marketing campaign by improving the deliverability and open rates. It protects your sender reputation. The higher your reputation, the higher your deliverability rate and the higher results you got from your email marketing efforts. Fresh Health Niche List Approx 250,000K USA email addresses in a Text file. All emails are valid, active, verified and accurate. Which will helps you to promote your business or anything to consumers and bring huge customers. So why you are waiting? Order this gig and get this list just in few minutes.